Nicole Campbell, left, and Krysta Oben. 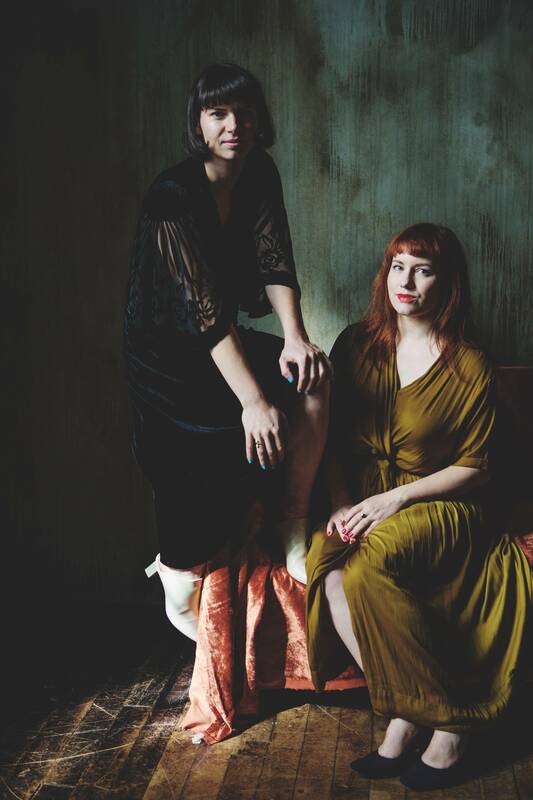 For anyone who has eye-rolled at the thought of swirling, sniffing or gurgling before sipping a glass of wine, the Grape Witches, a Toronto duo hell-bent on revolutionizing the way wine is appreciated, think you're missing out. "We want to strip away the traditionally formal veneer of wine and share what we love – exploration, discovery, interesting grapes, small winemakers, celebration and duh, deliciousness – in an accessible, but not dumbed down way," Krysta Oben, one half of the pair, says. Oben and partner Nicole Campbell both work with wine full time – Oben is the wine director at the buzzy new Toronto bar, Paris Paris, while Campbell is a portfolio ambassador with Lifford Wine and Spirits. They launched Grape Witches last year as a way to connect with a larger millennial female audience. "We'll take over anything from a pizza garage, to a retro bowling alley to the Vancouver Art Gallery and fill it with wine, music and performers," Oben says. "Our goal is to throw inclusive, warm and magical parties." They also hope to provide a forum for the appreciation of natural wine. "We love how ephemeral wine is," Campbell says. "Small production natural wine will taste a bit different every time and this lack of predictability makes it thrilling." Here, the duo share their tips on how to create your own at-home wine shrine. "Zalto glasses are simply the best thing to hold and drink out of. They are mouth-blown, lead-free and dishwasher safe. The stem is unbelievably fine yet confusingly sturdy, causing your hands to feel big and powerful, but also delicate, which is great!" Universal glass by Zalto Glassware, $77.50 each through WineOnline.ca. 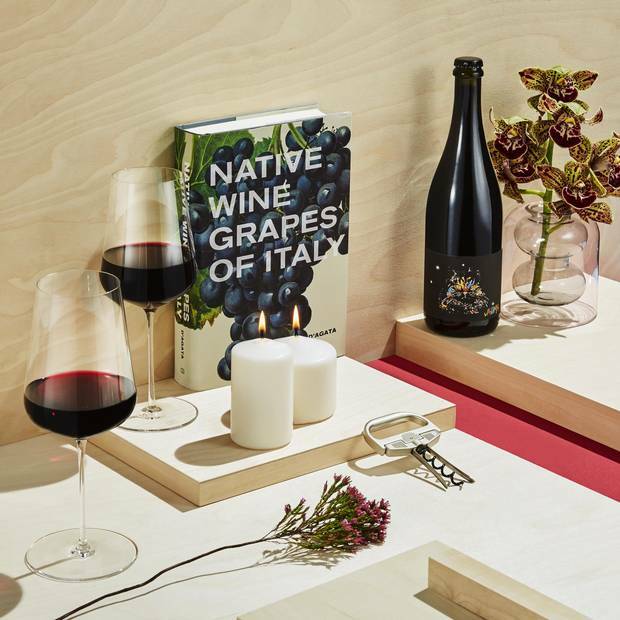 "With the rise of small producers and native grapes, there are more and more books telling these personal stories and opening up the world of wine in a less stuffy way. If you love Italy, Canadian Ian D'Agata has written a master thesis on Italian grapes which we are always learning from." Native Grapes of Italy by Ian D'Agata, $52.48 at Amazon. "For a splurge, we adore Jauma Tikka the Cosmic Cat. Not only does it have an adorable cat label on the bottle, but it shows new Australia: superbright lifted fruit, lower alcohol wine that enlivens you for living your dream life!" Jauma Tikka the Cosmic Cat, $41.15 at LCBO. "Filling your dream cellar with a bunch of rich vines and flowers creates a powerful vibe that connects you to the world in which your glass of wine was born. We are obsessed with the magical plants and arrangements from Toronto florist Chloë Fraser at Flúr." Floral arrangements, price on request at Flúr Studio. "The Durand corkscrew looks pretty weird, but it is the very best tool for extracting fragile or damaged corks if you are lucky enough to have old bottles. Please invite us over in that case … "
The Durand, US$125 through thedurand.com. "Over time, wine develops more and more sediment and at a certain point it is nice to remove some of it. The classic way would be to let this bottle rest standing up for a full day, then pour it slowly using a candle underneath the bottle to see where the heavy sediment starts so you can stop pouring." Fenomen set of five unscented block candles, $8.99 at IKEA.